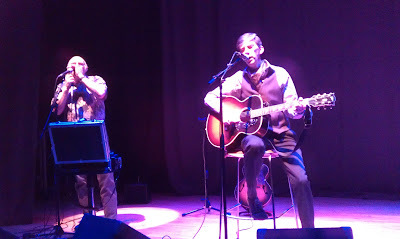 Sorry for the contrived alliteration of the title to this post but last night we were entertained mightily by a great gig at the Stirling Tolbooth by James Grant, frontman for Scottish band Love and Money, songwriter, guitarist and collaborator with, amongst others, Karen Matheson of Capercaillie. I've been a fan of Grant's work since 1988 when Love and Money released their "Strange Kind of Love" album which I regard, to this day, as one of the most perfectly conceived and performed sets of songs in modern popular music. I have probably listened to that album more often than to any other over the last 24 years. So, as you can imagine, a chance to see him playing live in our wee venue in Stirling would be enough of an attraction in its own right. I won't review the night song by song but this was a much more varied set than the last time we saw JG play here. There were old Love and Money numbers (including one of my favourites, "Walk the Last Mile"), many tracks from his solo recordings, including, after some cajoling and banter, some fun audience chorus singing on "The Scarecrow Song", and some great covers (e.g. Angie, Tom Waits' Clap Hands and others). 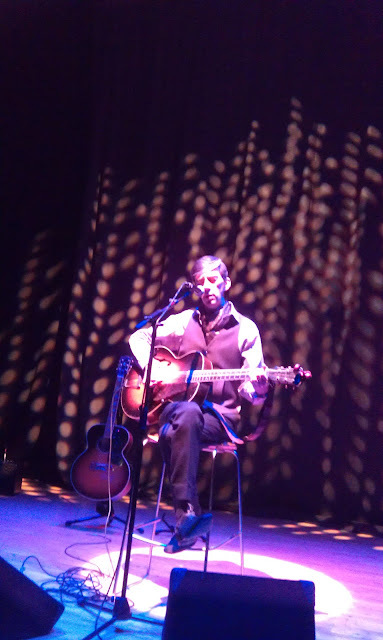 One great thing about James Grant's live performances is his funny (some would say dry) chat (definitely from the Glasgow school of mirth). I remember a TV interview with JG, maybe in the early 1990's - I can't recall its name - but I remember the discussion of the influence on his writing of a belief that most people live their live in a kind of quiet desperation. I now know that was Henry David Thoreau that said it first but a sense of that still percolates many of James Grant's more recent work. He claims the misery and gloom that are the usual subject of his material demands that he tries to amuse us between songs. But it's mostly gentle, and often self-deprecating, stories and he has a great rapport with his audience, many of whom (maybe most last night?) 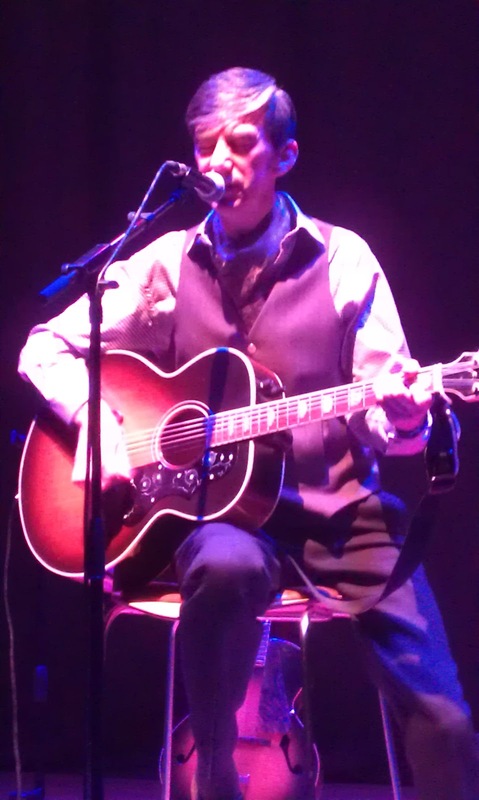 have been coming to his shows since the late 1980's. I guess it's part of what makes for a pretty intimate experience, one that's probably easier to foster too in a wee venue like the Tolbooth (150-160 seats, tops?) 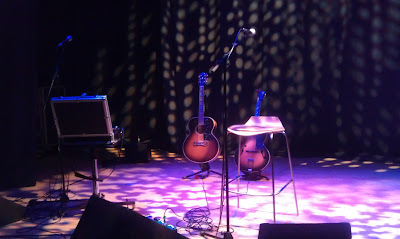 and we both came away last night feeling like we'd been part of something special (actually, that's not uncommon for gigs at the Tolbooth in our experience where you sit so close to the performers and we were in the front row). Oh, and did I mention that Grant is an exceptional guitarist - one of the things that attracted me to Love and Money in the first instance was the sheer varied musicality of his guitar lines, whether rhythm, picking or lead parts. 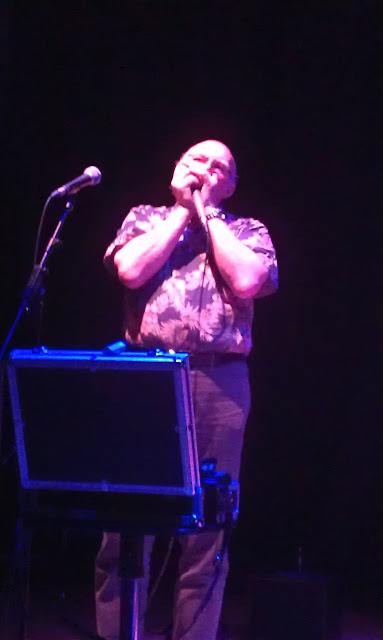 And his style of playing and singing is complemented extremely well by harmonica. 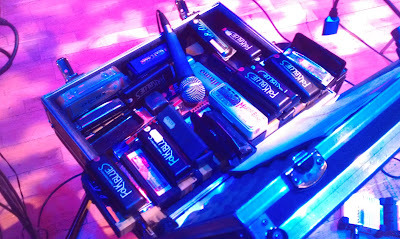 This is what a proper harmonica player's gig box looks like! 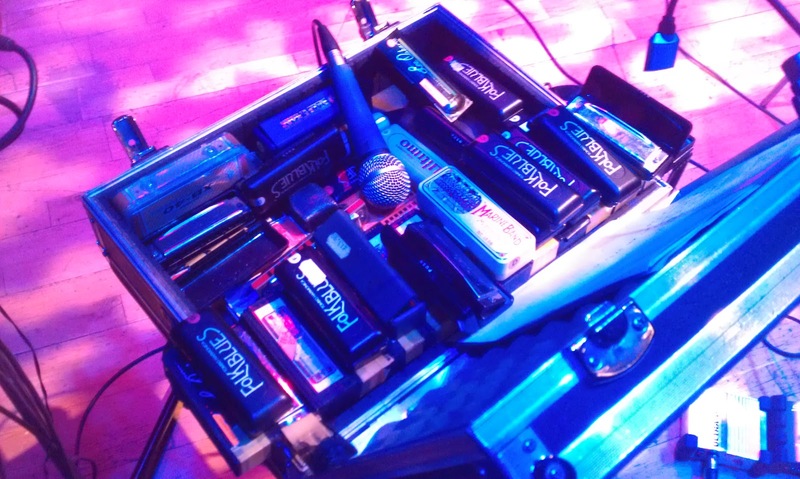 Incidentally, James Grant's own website is here (where he has generously shared the chords and lyrics for all of his L&M and solo work), and Fraser Speirs website can be found here, including a harmonica tutorial. You can't beat a great track or two - unless you see them live of course!